Okay so I know it’s Saturday and I’m supposed to be writing about adventures or a trip I’ve taken, well two problems with this situation, I literally did nothing this week and I don’t feel like writing about something in the past because that takes effort and searching for pictures and blah blah blah. Anywho (still not sure if this is a real word or not), I was at a loss for what to write about and my friend Lindsay who I talk about often, gave me the idea because it’s something we talk about often and that’s the real perks of being a wallflower. Everyone knows the book as well as the movie, however there are many more benefits of being a wallflower than the author even began to point out. 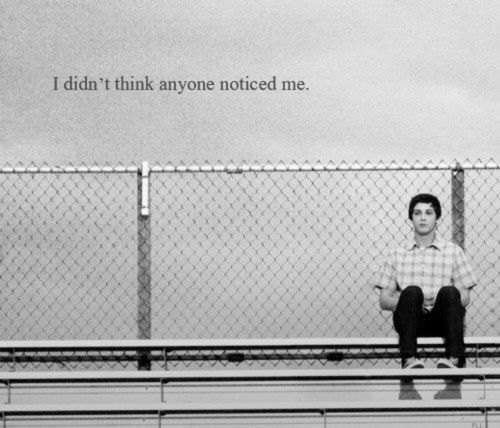 I feel as though throughout most of my life I can pride myself on being a wallflower, even though I wasn’t “unknown”. It’s kind of hard to explain but I think people would either just forget I was around or didn’t care. I’m not sure, but trust me, if there was a Gossip Girl of my high school, I easily could’ve started it without tips from people (well at least to start), if you went to high school with me, you’re lucky I’m nice. There are so many perks to this, like I don’t even know how to describe it to you. If you’re a wallflower you can basically get away with anything, no one ever suspects you. Set someone’s hair on fire, get away with, just kidding, don’t do that! Setting people’s hair on fire is bad. Very bad. I do not condone setting hair on fire. Anyway, but you can, no one suspects the wallflowers. Imagine this, you’re sitting in class in the middle and you have two friends on either side of you, you hear everything they say, you literally know every detail of their life. To me that’s the most interesting thing and annoying things ever. Like I’m a huge people watcher, I love to observe and take note of what people do and what they are like, so to hear that it’s really interesting and entertaining. However on the other hand, sometimes it’s really annoying because no matter how nice it is to have that insight into someone’s life, I actually could care less about it. Perfect quote for a wallflower. 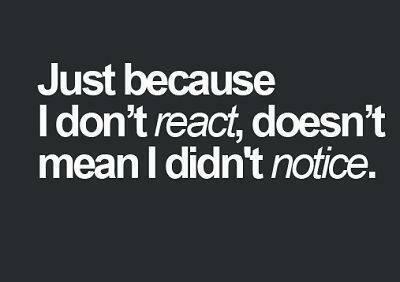 Just because we aren’t reacting to what you’re saying I notice everything. This is also kind of an advice piece to anyone who is rather open in their talking as well. People hear everything you say and do as much as you think they don’t. If that makes sense. Wallflowers notice everything, and they aren’t always as nice as I am, that’s how rumors start, with truth straight from the source. Anyway I know this post was pretty bad, I have lack of creativity tonight. Sorry pals. I hope you have a fantastic day/night/everything. January 17: Allied air attacks on Nazi train movements in France and Germany. January 18: What is a young frog called when it grows out of tadpole stage but has not yet reached adulthood? Funny side story about frogs, one year in my grandparent’s pool cover there were a bunch of tadpoles so we took them to put in our fountain and we were never sure if any lived or not. The unexpected threat. Very true!